We inspire kids to go the distance. Park City Running Club runs on friendship, entertainment and competition. With every step in training, racing and volunteering, we teach the skills of teamwork, self-discipline and healthy lifestyles. Above all, we give kids confidence to go far beyond the finish line. Park City Running Club is a non-profit, youth athletic organization in Park City, Utah. Our program provides training for all abilities, including introductory running, competitive racing, or supplemental fitness for other sports and activities. Recommended ages are 9 to 14 years old (Grades 4-8). 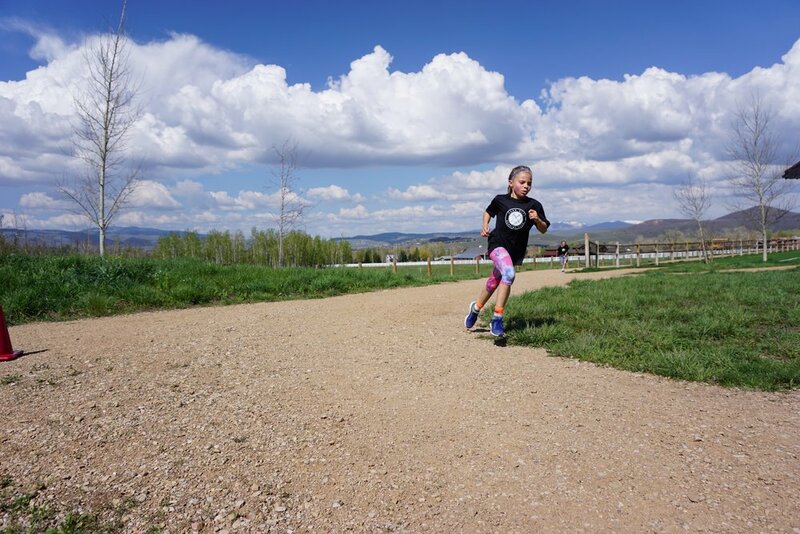 Our coaches are passionate about running and thrilled to pass on their excitement and knowledge to our Park City kids. Rachel Taylor. I have a passion for teaching. The first time I watched a young kid light up with pride after learning something new, I was hooked. After pride comes the excitement of developing new skills and eventually, new levels of self-confidence. That’s the powerful influence of a teacher. I also have a passion for running. I love the simplicity. I love being outside. I love the hard work and self-discipline. Running is rejuvenating. And refreshing. It’s the only activity that makes you feel so tired, yet stronger at the same time. That’s the power of running. 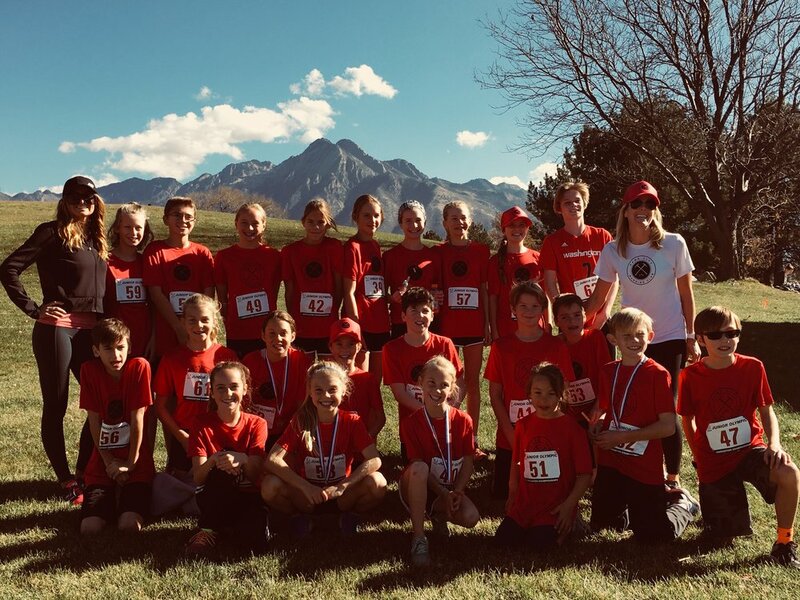 As a coach at Park City Running Club, I am excited to combine my experience as an elementary teacher with my history as a competitive runner to help kids empower themselves. Nikki Dotter. Nikki has a passion for training and coaching. As a University of Utah Cross Country and Track and Field Runner, Nikki was an All-American racer. We are THRILLED to have her on our coaching team. She has empowered our PCRC runners to go beyond the distance and speed they thought they could, due to her incredible insight and coaching skills. Kristin Brown. I am a mom to two little boys and a director at a women’s endurance sports clothing company, Coeur Sports. I’ve loved running since a young age and did my first race at 5. I was involved in triathlon for years, which kept me active in track workouts and running distances up to the marathon. With a background in physiology, I am very eager to share my knowledge, experience and enthusiasm for running with the PCRC team. Running can be a life-long sport that builds confidence and camaraderie, relieves stress and refreshes the mind. Plus, it’s fun! Carolyn Jackson. I am a teacher at Parley’s Park Elementary. My background is in outdoor education - leading kids in adventures in the outdoors. I have been a runner since high school and I just recently completed my first ultra-marathon. One of my favorite things about running is how it can bring so much positivity in people and create such strong friendships! I am so excited to share my love of running and teaching with the Park City Running Club! Katie Coccaro. I am a teacher at Trailside Elementary and love working with kids. I have also been a runner for over 30 years, running competitively throughout high school in upstate New York and at Boston College. One of my favorite things about being on a team was building relationships with my teammates and I am so excited to join the coaching staff of PCRC so I can help these young runners find that same camaraderie and share my love of running with all of them! Lynsey Gammon. I am a farmer and mom of two lovely girls. I am also a passionate runner. I was a competitive runner throughout high school and college, and have continued my love for the sport by going the distance. I now like to run those big mountain trail races that challenge me, but refresh me with mountain air and views. I can’t wait to share my love for running with PCRC.